A few years back, I joined friends in a local book club that had already been in existence for a while. 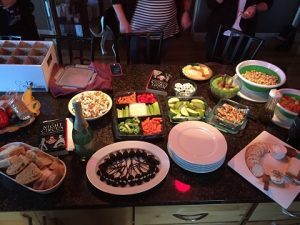 Each month we’d meet to discuss what we’d read. At the end of the meeting, we’d pick our next book and decide who would host. As we gained members, it became increasingly challenging to settle on a book we were all interested in yet none of us had read before. 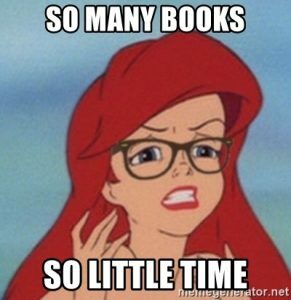 My friends are intrigued by my reading challenges, as well as overwhelmed by the idea of filling in so many categories to complete an entire challenge. So using my challenge categories as a spring board, we choose a theme and then rotate through our members so everyone has a chance to pick a book in that theme. Whoever chooses the book also hosts the meeting. Our current theme is: Books written by non-American women of color. 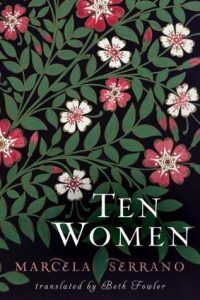 Our first meeting for this theme is next week and we’re discussing Ten Women by Marcela Serrano, a Chilean author. So far it’s beautifully written and intriguing. 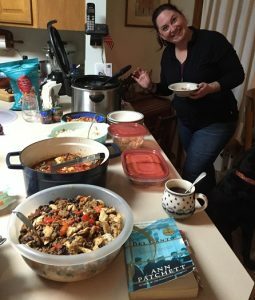 Another fun thing our club does is, we each bring a dish to the meeting that somehow relates to the book. This encourages us to pay closer attention to what’s going on in the book. It also adds a whole other level to the discussion. 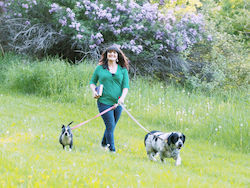 I also think it allows us to slow down, and have a more thoughtful, meaningful discussion. 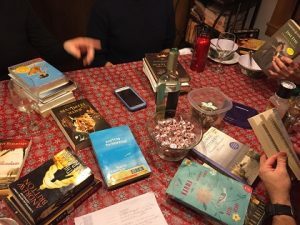 This local book club is my favorite of all the ones I’ve belonged to in my life. Not only because these ladies are some of my dear friends, but because we all love books whole-heartedly. We all come to each meeting open minded and ready to support each other through an honest discussion. And we share a meal together once a month, which is always bonding! 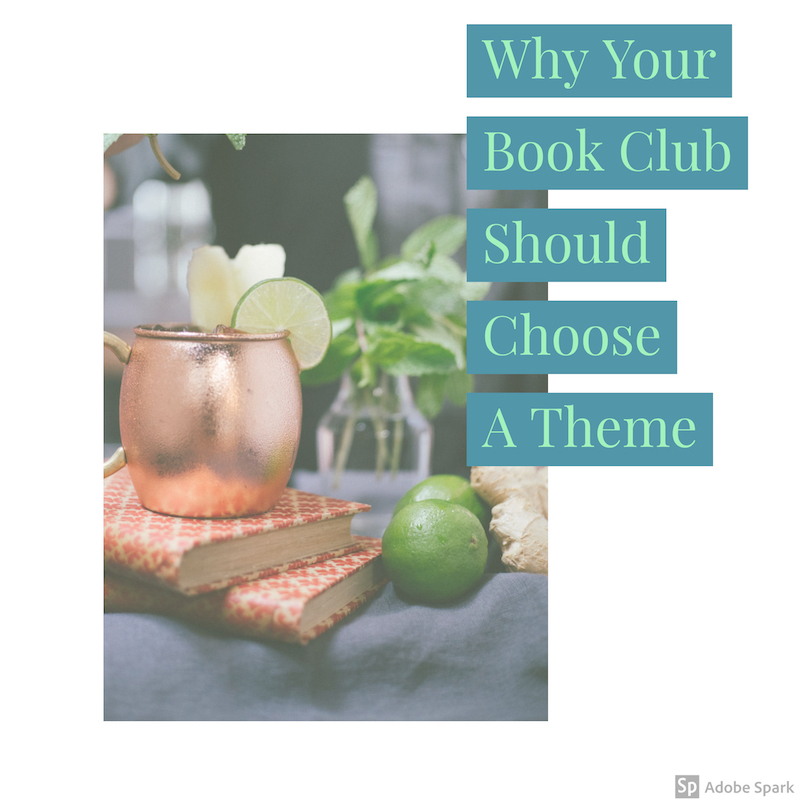 If you’re in a book club, how do you choose your selections? !